Coldplay's Mylo Xyloto comes to Spotify and We7 | What Hi-Fi? Coldplay and the band's management seem to have come round to the idea of streaming music services, with the band's latest Mylo Xyloto album appearing on Spotify and We7 today. The band made headlines last year by keeping the album off streaming sites. Three months later, the album has crept online. 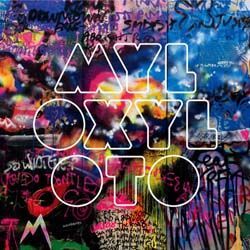 As we reported, Coldplay claimed they wanted the album to be heard as one cohesive work – though as it was available to download as individual tracks on iTunes, this seemed a strange reason. You can now stream the album on Spotify or access it on We7's radio service. As Musically asks, will other refuseniks such as Adele and the Black Keys now follow suit?